Welcome to the We Like Shooting show, Episode 150 - tonight we’ll talk about CRKT Knives, Lionheart LH9NC, Tactical Pens, Century Arms, All the gun news, rubber dummies and more! We like shooting is a great bunch of guys despite all the evidence to the contrary. They hosted a great event over the weekend and it was a blast. The podcast is pretty good too.. A number one! Informative and quite entertaining as well! Keep it up guys! P.S. Jeremy isn't as big as you expect! Stay safe and shoot strait! Hi Dan! Love this show. I appreciate all that you do for our community. Very insightful and hilarious. I really like how Nick always....... (Insert robot noise then drop out). This podcast should have an immortal place in the womb of the entertainment hall of fame. With an extremely knowledgable panel and perfect mix of sarcasm, caffeine and professionalism you will always be left wanting just 30 more minutes. Even though some of the WLS regulars are dirty rotten liars who said they would come visit the booth at NRA 2016 and never did, you shouldn't hold it against them, because I don't. A word of caution: if your wife or husband thinks you have a problem because you spend most of your income on gun stuff, try not to listen while they are around. That way they won't know why more stuff just keeps showing up at your door, because the WLS team has some really great deals and sponsors that cost me more money than I would like to admit. Keep up the great work guys and gals. 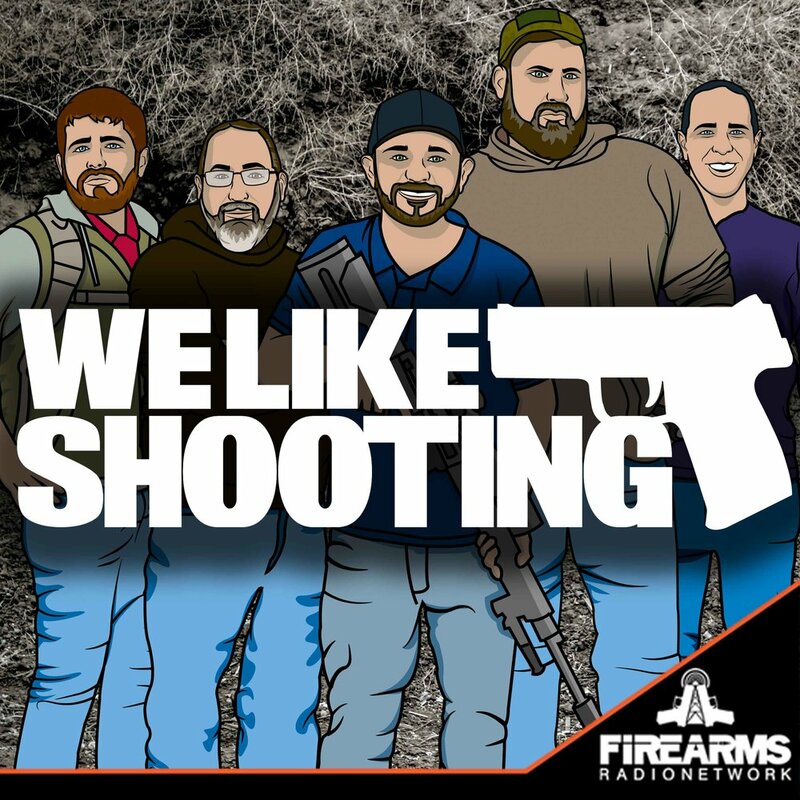 "We Like Shooting" was, is, and always will be my favorite 2A podcast. Whether it's gun and gear news, random fireside chats, or news about the Left and their latest discrimination legislation, I'm always entertained and at times enlightened. Overall the entire cast of WLS whether they be regulars or new and recurring guests, are just a bunch of good hardworking folks who love to shoot, and Aaron's there too... he's Jewish, and balding, and... I mean he's there... more like a prop. Na, just kidding, I hate Aaron.lol Seriously though, great show keep up the awesome work, it's the podcast I look forward to the most every week. I am still waiting for the MP3 release of "Tactical Slide".